When the Greek government and its creditors agreed on a third bailout for Greece on July 13, the deal was still far from complete. It still needed approval by seven national parliaments in the eurozone where a vote was obligatory. In some other cases without such an obligation, governments nevertheless preferred to hold the deal to the verdict of their parliaments. At this point, unified approval cannot be taken for granted. All anxious eyes were on the parliaments in Finland and Germany as well as Greece where opposition to the deal was seen as the most significant. This process of parliamentary approval took over a month and only finalized with votes in favor of the deal in the German Busdestag and the Dutch Tweede Kamer on Aug. 19. This can be seen as the latest episode of the increasing role of national parliaments in the EU. Needless to say, not all affairs are as salient or controversial as the Greek bailout, and incentives are not always this high for parliaments to be involved in EU affairs or for the media to cover their involvement. Yet overall, parliaments are now in a much better position compared to the situation in the 1990s or even as recently as 2009 before the Treaty of Lisbon entered into force. European governments have long benefited from low-key EU affairs that do not spark debate in their parliaments or their countries as a whole. This does not only make their life easier in making and implementing these policies, but it also gives them a comparative advantage by increasing their political autonomy against parliaments. However, the shift in the balance of legislative-executive relations in favor of the latter is only one part of the problem for these parliaments. The other, and perhaps the more obvious of the two, is the transfer of the decision-making power from parliaments of EU member states to supranational institutions at the EU level. The autonomy of national parliaments has dramatically decreased as EU institutions took over varying proportions of decision-making power over the decades. The transfer of decision-making competencies to EU institutions deprives representatives of voting on an increasing number of policies and, therefore, of their legislative sovereignty. Against this background, concerns over the democratic legitimacy of the EU have provided opportunities for national parliaments to regain their previously lost autonomy in decision making. The involvement of national parliaments in EU affairs is often seen as the most likely remedy for the so-called democratic deficit problem in the EU. As a result, parliaments have secured important constitutional rights and developed effective political scrutiny practices over time. Constitutionally, national parliaments have gradually made their way into EU treaties. Early references to national parliaments in declarations and protocols have been replaced by stronger rights in the Treaty of Lisbon. Now, parliaments do not just receive legislative proposals from or provide mere consultation to the EU, but they also have the right to force the European Commission to take action with the Early Warning Mechanism. Politically, parliaments have made important gains against their executives with regard to mandating governments in EU affairs, accessing information on their behavior in the EU and then processing this information. Parliamentarians need information to carry out their parliamentary activities, and they have responded rationally to the information gap in EU affairs by developing strategies to hold their representatives to account. European Affairs Committees (EACs) have come to be an important part of such strategies. National parliaments have created special committees to deal with EU affairs. They soon became the main body where the constitutionally secured rights of parliaments are exercised. As parliamentary rights and duties have included scrutiny of more documents from more policy areas, their resources and thus capabilities have also improved over time. Besides documents, the majority of EACs have become active in scrutinizing members of governments before and after European Council meetings. If parliamentarians are not the ones to decide on Europeanized competencies, the idea is that they should at least be in a position to scrutinize those who can. Some even have gone beyond scrutinizing and gained powers to mandate ministers with instructions on how to vote on upcoming issues in the European Council. Parliaments also join forces to increase their authority and relevance in the EU decision-making process. National parliaments meet biannually in the Conference of Parliamentary Committees for Union Affairs of Parliaments of the European Union (COSAC), where parliamentarians, most of whom are members of individual EACs, share information, experiences and best practices about their involvement in EU affairs. Parliaments have also developed networks for monitoring the subsidiarity principle. Through the Inter-Parliamentary EU Information Exchange Platform (IPEX), parliaments publish their reasoned opinions on EU legislative drafts, learn the position of other parliaments and, therefore, coordinate their positions. The parliaments of EU candidate countries, including Turkey, have been going through similar institutional adaptations as well. In Turkey, Parliament established a specialized committee in 2003, the European Union Harmonization Committee, in order to have a role in the accession process. It oversees the compliance of the legislative proposals in Parliament with EU law, assists Turkey's EU membership bid and scrutinizes the government in the negotiation process. As is the case for all EACs from other candidate countries, three members of the European Union Harmonization Committee attend the COSAC meetings as observers. These meetings provide an important opportunity for members of the Turkish Parliament to interact with other EACs and to learn about best practices for behavioral as well as institutional adaptation. Often, behavioral adaptation of members of parliament is a more challenging task than the institutional adaptation of parliaments themselves. 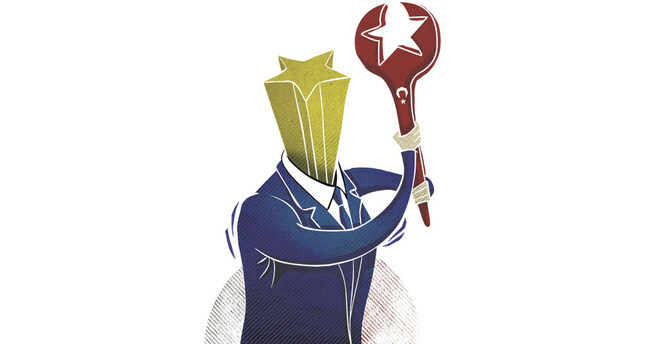 The Turkish Parliament might be on the right track with institutional adaptations to the EU, as evident in the establishment of the EU Harmonization Committee, but what rather matters more is whether these institutional adaptations lead to a change in the actual behavior of members of parliament. Formal rules and institutions are important, but they are only one side of the story. This is why, despite having similar institutional arrangements across EU member states, some parliaments have a more active role than others in the EU. Where would the Turkish Parliament stand within this divide if Turkey becomes a full member one day? To say the least, there are signs that the Turkish Parliament would not be among the most active parliaments in the EU. For example, we have seen neither the Turkish Parliament nor its EU Harmonization Committee taking a visible role in Turkey's membership bid for the EU so far. Instead of leaving it all to the European Union Affairs Ministry, the Turkish Parliament and, especially, the EU Harmonization Committee should get involved more actively in the accession process. In the short run, their involvement could help bring momentum to the negotiations. And in the long run, this could positively shape their future role in the EU.